Journalists like a local policy angle. So yesterday when a journalist from the Today newspaper here in Singapore called to ask about the Asian parking study she naturally asked what it means for Singapore parking policy. 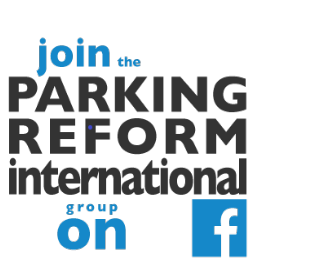 The resulting article by Neo Chai Chin came out today under the title "Missed opportunity in parking policy?" The Asian cities parking study itself doesn't make recommendations for Singapore specifically but, among other points, it does express surprise that parking policy here is rather conventional (using minimum parking requirements). It also seems odd that parking policy plays only a very small part in Singapore's robust Travel Demand Management efforts. But I have been thinking a lot about how Shoupista-style parking policy might apply in Singapore. So when the journalist asked what I would suggest, I (rashly?) explained that performance pricing for public-sector parking should offer benefits and would be more consistent with Singapore's wider transport and urban planning priorities. Anyway, do take a look at the article itself. I see a few points in it that I would like to clarify or correct. Not today however. My detailed comments can wait. Missed opportunity in parking policy? SINGAPORE - Singaporeans generally accept the premium that centrally-located housing commands. And they watch as demand and supply guides Electronic Road Pricing and Certificate of Entitlement rates. But would they allow the market to dictate parking prices here? The relative lack of market forces in pricing parking here, notably outside the Central Business District, surprises transport policy expert Paul Barter. "Parking is a missed opportunity not consistent with all of the other public transport and car policies," said Assistant Professor Barter of the Lee Kuan Yew School of Public Policy. Asst Prof Barter, who recently completed a 93-page research paper on parking policy in Asian cities, believes that prices at car parks run by the Urban Redevelopment Authority (URA) and Housing and Development Board (HDB) are fairly inflexible. Prices are reviewed infrequently, for instance, with most car parks on the coupon system charging 50 cents to $1 per half hour. "If the price (for housing) is flat like that, we would consider it unfair. If a Tiong Bahru four-room flat cost the same as a Yishun four-room flat, the person who got the Tiong Bahru flat would be considered very lucky," he said. According to Asst Prof Barter, parking rates should shift to reflect the opportunity cost of the land occupied. Within the Central Business District (CBD) - where URA runs some of its car parks - Asst Prof Barter said that the parking rates would have to triple, based on Colliers International data of CBD parking prices and Grade A office rents. In an interview with Today last June, Transport Minister Raymond Lim had said that the Government does not see managing parking fees as one of its principal instruments to manage congestion. It has "certain rules of what is the amount of parking spaces we should have" in the CBD but it allows the market to determine the parking rates. Mr Lim added that, while CBD parking charges would gradually increase due to a reduction in the supply of parking spaces over time, it was unlikely that Singapore vehicle owners will experience the high parking charges in cities such as London, New York and Hong Kong. Asst Prof Barter said he believes that performance-based parking pricing - with parking rightly priced such that there are just a few vacant spaces left - would make for greater efficiency and better transport policy. But he acknowledged that a shift will not be easy. Associate Professor Lee Der Horng of the National University of Singapore's civil engineering department said: "Conceptually, (market-based pricing is) good, but implementation may not be straightforward." He expects strong public resistance to such a system and added that differentiated parking rates may confuse motorists. For instance, when Marina Bay Sands first opened in April last year, its parking fees - reportedly the highest in Singapore - caused an outcry among motorists. It charged $8-an-hour for parking from 7am to midnight, with overnight parking charged at a flat fee of $8. The integrated resort eventually reduced the fees. Nanyang Business School Associate Professor Michael Li noted that comparisons with other countries may be unfair, as the latter may not have policies such as Certificates of Entitlement and Electronic Road Pricing, and "hiking parking fees is the only measure to contain the traffic problem in these places". Asst Prof Barter also suggested a flexible ERP-like system that would raise prices when car parks are consistently more than 85-per-cent full. Where parking lots are consistently empty, prices could adjust downwards. "It doesn't necessarily mean an increase everywhere," he said. Market-based pricing could even make the Park & Ride Scheme redundant, as the market would automatically show motorists relevant locations where cheap parking is available, said Asst Prof Barter. His paper noted that park-and-ride is generally an inefficient use of high-value space near mass transit, unless full opportunity cost is paid. Many responses imply parking should be kept cheap to help out ordinary struggling people. It would be a good argument if you are talking about education or hospitals or 1-room and 2-room flats or public transport. But it makes no sense for parking (and especially not in Singapore). Only about 40% of Singapore households has a car and most car-owners are richer than average. You are asking society to subsidize parking for rich motorists along with the poor ones. Not a good use of taxpayer money! Too cheap parking also means full parking lots at busy times so that the roads clog with cars searching for spots or queuing. Who does that help? Why only focus on the price rises in the idea? Performance pricing (an idea from Prof Donald Shoup of UCLA) also implies that the price would go DOWN at quiet places and quiet times. Many heartland car parks would be cheaper than now (or free) most of the time. Even busy places would have cheap parking at quiet times. More motorists would visit off-peak when parking is cheap and spread out the crowds. ERP prices might even drop if parking pricing helps spread out traffic peaks a bit.